Official authorized edition by the Frank Lloyd Wright Foundation. 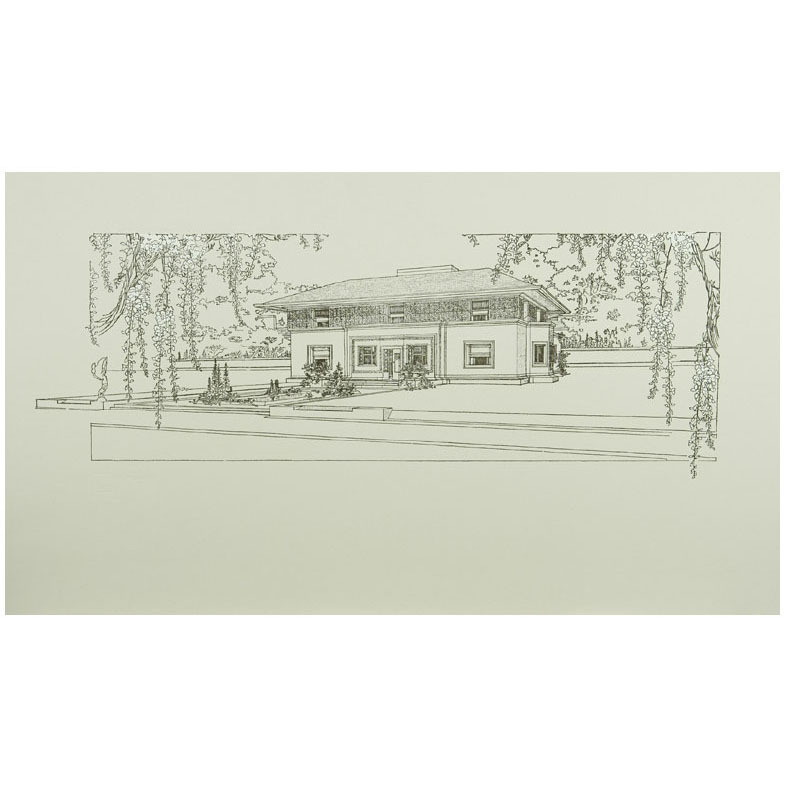 Frank Lloyd Wright: Wasmuth Portfolio Fine Art Print. In 1910, Frank Lloyd Wright and the Berlin Publisher Ernst Wasmuth produced a two-volume folio of 100 lithographs containing plans and perspectives of Frank Lloyd Wright's buildings from 1893-1909. Originally titled 'Ausgefuhrte Bauten und Entwurfe von Frank Lloyd Wrigh', it is commonly referred to as the 'Wasmuth Portfolio'. This museum quality print is derived from the original plate in the original portfolio. This print is individually handcrafed to stay true to it's source, making it among the finest Frank Lloyd Wright reproductions ever created. Highly suitable for framing. * Letterpress & Silkscreen printed on archival paper. * Packaged in keepsake portfolio. * 13 5/8" x 23 5/8"